After watching, and blubbering through, 2011's eagerly anticipated return of Jim Henson's THE MUPPETS I was excited to hear that they would be returning to the screen accompanied by the razor tongued yet surprisingly emotive (see Derek) Ricky Gervais. Sadly, this sequel is just as the opening song suggests, a sequel and not as good as the original. 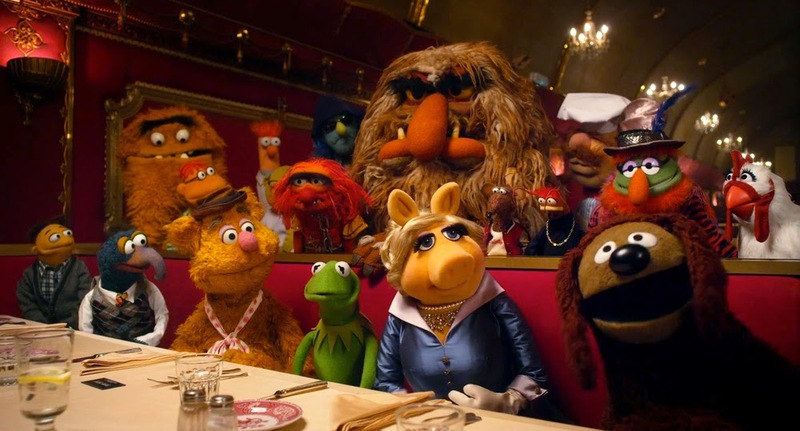 Still filled with laughs, jovial musical numbers and more than a handful of cameos, Muppets Most Wanted lacks one thing that the original had in spades: heart. 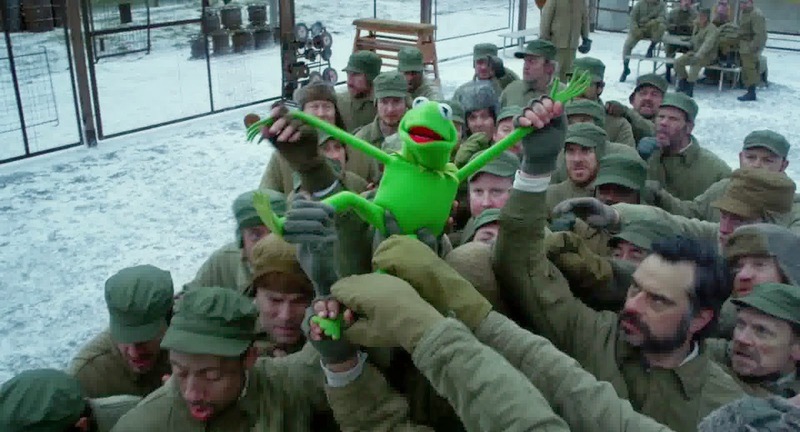 I remember feeling moved by the first film, the feeling of reminiscing with old friends and the sadness that we don't have Jim Henson here to enjoy it with us. This film however contains little in the way of emotion and while it's a fun movie, that's where the connection ends. 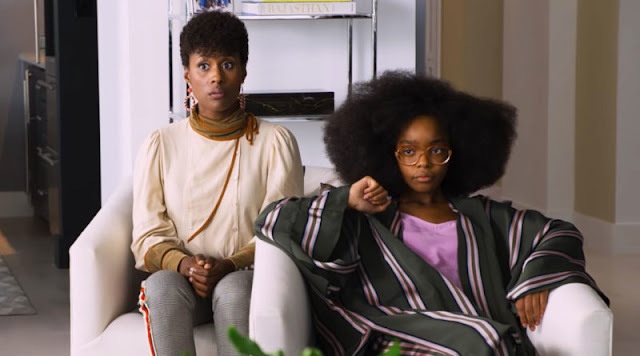 Sure, younger audiences will still love the film which is bright, funny and filled with wacky characters, but adults may find themselves yearning for more than just giggles and cameos. For the record, Ty Burrell is hilarious. The opening musical number, "We're Doing a Sequel", by Flight of the Conchord's Bret Mackenzie, is a tongue in cheek ditty which admits that they made enough money to make a second film but not to expect it to be as good as the first. Even appearances by Lady Gaga and Tony Bennett couldn't stop this prophecy from self-fulfillment. Other songs by McKenzie including "Something So Right", "I'll Get You What You Want" and "The Big House" are standout tracks while the rest of the soundtrack, not including the classic "Together Again", seem to fall somewhat flat. From there we're introduced to new characters who lead The Muppets on a round the world trip of music and peril. There are no surprises here. The bad guys are bad and the good guys are good. The bad guys lose and the good guys win. Was there ever any doubt? Ricky Gervais plays Dominic Badguy who is apparently doing a Ricky Gervais, impersonation for the entire film. What helps this movie along are the cameos which are plentiful and riotous, particularly those that take place in a Siberian Gulag. Tina Fey makes an appearance as a prison warden and shines as usual even when surrounded by a rag-tag group of prisoners including Jermaine Clement, Ray Liotta and the ever intimidating Danny Trejo. 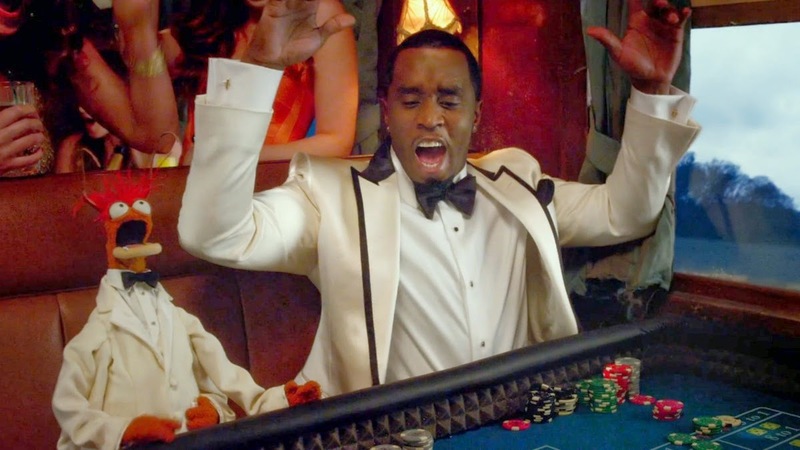 Other cameos include P-Diddy/Puff Daddy/Puff Pastry or whatever name he goes by at the moment, Salma Hayek, Stanley Tucci, Chloe Grace Moretz, Usher, James McAvoy, Tom Hiddleston and many, many more. The sheer volume of cameos goes to show just how much sway this bunch of glorified sock puppets have in Tinseltown. 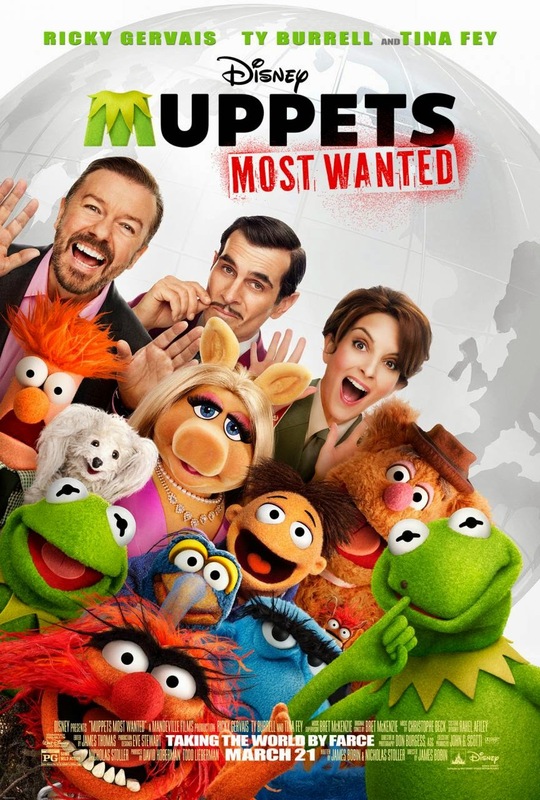 From the eyes of an adult The Muppets Most Wanted is okay, just okay. It's a spot of fun with characters that are known and loved but lacks the heart and soul of the 2011 outing. While James Bobin reprises his role in the directors chair, there seems to be a lack of whimsy and levity which made me long for the return of Jason Segel. For kids, this film will undoubtedly be an hour and a half of laughter, music and mayhem albeit lacking in ongoing appeal.